The day I meet Jessica Barden, the first image at the top of her Instagram is a black and white photograph of Harold Pinter captioned “Bae. Harold.” Beneath that, young fans tell her how much they love her Netflix series The End of The F***ing World (TEOTFW). 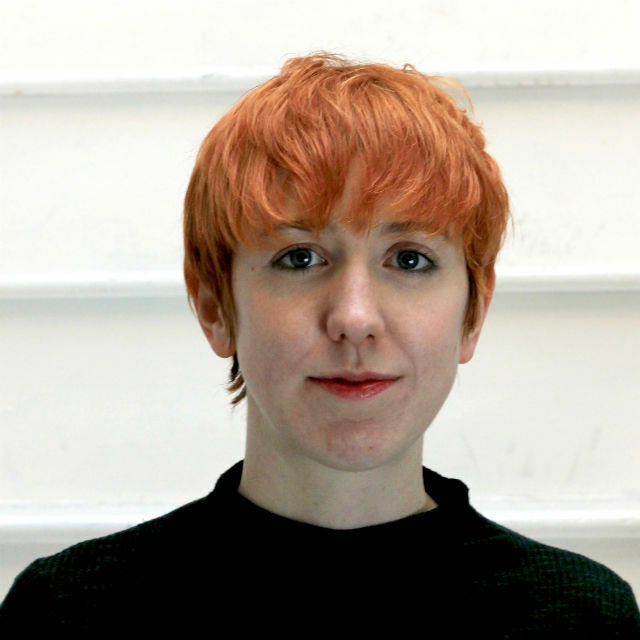 For Barden, this is actually ideal: with a forthright blend of youthful idealism and canny pragmatism, she explains how she’s hoping a season of Harold Pinter plays, Pinter at the Pinter, which she’s starring in, will have the same reach, and relevance, as the cult Channel 4 and Netflix show. And social media was key to the show’s success, she points out. “Social media is actually feeding the industry in a really constructive way. People have real opinions on things, and that’s what everyone wants – to make something that inspires a conversation. “Also for what I want to eventually do – which is to produce my own stuff – it’s a great tool, to really see numbers, see how people respond,” she adds. Producing may be a long-term goal, but right now, she’s hoping to attract a youthful new audience to Pinter. Barden stars in Night School, a TV drama from 1960 now being staged by Ed Stambollouian as part of Jamie Lloyd’s star-studded six-month Pinter season, which also features Martin Freeman, Mark Rylance, Tamsin Greig, and Danny Dyer. Barden admits to being nervous about it: “I didn’t go to drama school, and I left school when I was 15, so I’ve never studied him or anything.” But she knew Pinter was a working-class playwright, which interested her as someone from a similar background. The roles she got were mostly on TV; when, 10 years ago, she was cast in Jez Butterworth’s Jerusalem, she’d never actually seen a play. When the director Ian Rickson twigged, he started taking her to the theatre himself. “The West End and theatre in general still feels like something which isn’t particularly accessible for a working-class audience. It feels like a very formal thing to do which a lot of people find intimidating – me included,” she says. In Night School, she plays Sally, a lodger with two eccentric old ladies; when their nephew gets out of prison, he’s disgruntled to find a stranger in his room. Although little-known – indeed, the playwright once rather ominously described it as “the worst thing I have written” – it shows various classic Pinter hallmarks: a mysterious intruder, sexual power play, a darkly absurd humour. Barden also thinks that the play is “massively important’ in the current climate. “And I’m not just saying that as a soundbite,” she warns me, making the case that Pinter was probing problems of masculinity in exactly the way the rest of society finally is today. Barden may be 26, but she’s petite and babyfaced enough that she’ll probably get cast as a teenager for some years yet. In person you’d hardly deem her vulnerable: she’s got an assertive, no-nonsense directness. Not that that has always sat well in her chosen profession. Her partner works in the industry too, in crew rather than in front of the camera; given they both travel so much, the relationship can be tricky. “It’s not very easy at all. But I do actually really like him and he is actually quite a nice man, so it’s kind of worth it,” she sighs and mutters, with self-protective understatement. Barden is not, it’s clear, much given to gushing. Her schedule this year has been intense: filming Jungleland, a movie about boxing brothers starring Charlie Hunnam and Jack O’Connell, in the US followed by a TV show, Lambs of God, in Australia. The latter project, in which she plays a nun, sounds pleasingly barmy. “This priest turns up on this island, and there’s these feral nuns there. And we have all these sheep that are our reincarnated dead sisters…” Fans of Alyssa will be pleased to hear Barden is absolutely as deadpan in real life as in her most famous part. Anyone hoping for news on a second series of TEOTFW may be disappointed, however. “There is a second series but we don’t know whether we’re in it or not,” is all Barden has to say. But they surely will be; Barden and her co-star Alex Lawther are why the show works, having a chemistry that’s both funny and fragile. “The chemistry is real because we are like Alyssa and James. We were completely exploited on that show, in the most constructive way possible,” she laughs. “I learnt a lot from Alex as a person, he’s very calm and everything is very considered, he doesn’t speak unless he’s really thought about it.